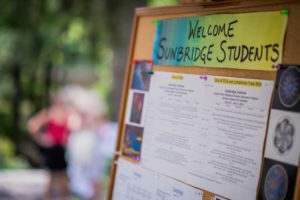 Sunbridge’s Waldorf Elementary Teacher Education program welcomes applicants who have completed a minimum of 60 credits at an accredited college or university. Foundation Studies coursework is embedded in our program curriculum and is not a separate prerequisite; however, we do expect you to have some familiarity with Waldorf Education. Complete an application form. You may apply online, download a pdf of the form, or request to have a paper version sent to you by filling out an inquiry form or by contacting us at 845-425-0055 x20. Non-refundable $50 application fee. Applications submitted without a fee will not be processed. Applications submitted after the May 1 deadline must contain an additional $50 late fee. Once your application is received, it is reviewed for completeness and forwarded to our program director, Jana Hawley, who will contact you to arrange a phone interview. Admissions decisions are sent out soon thereafter, on a rolling basis. 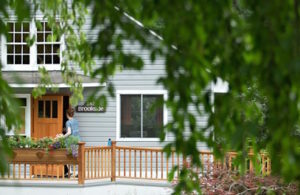 Applicants requesting transfer credit evaluation must show that their previous courses were taken at an AWSNA-recognized Waldorf teacher education institute, and must provide transcripts and course descriptions. The transfer course hours may not exceed 50% of the courses required for completion of the Sunbridge program. See our catalog for full requirements regarding transfer credits. Occasionally, applicants are admitted to Sunbridge provisionally with the stipulation that they meet specific conditions as indicated in their letter of acceptance. Enrolled students (those who have been accepted into the Elementary Teacher Education program, have completed and signed a current enrollment agreement and meningitis and photo release forms, and have paid a non-refundable registration fee which is applied toward tuition) may defer enrollment for one enrollment cycle (one year). Before returning, the student must have a phone conversation with the Director of Education. If significant changes in life circumstance have occurred, the Director of Education will refer to the Program Director for a follow-up conversation.